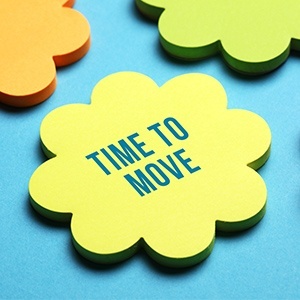 Similar to how the number one thing that homeowners consider when they’re considering a change of address, businesses must wisely focus on location when analyzing various relocation possibilities. For example, some businesses want to be closer to key employees (including those that they want to recruit in the near future), closer to customers, closer to suppliers, and so on. What’s more, some businesses do not necessarily need to get closer to any of these groups, but they nevertheless want to have an address in a high-profile community. For example, most big cities (and many smaller ones) have their own version of “Silicon Valley,” and many technology-led companies and entrepreneurial firms see the advantages of being located in the same hub or zone. The same goes for firms in other markets, including healthcare, financial services, engineering, marketing, and so on. Cost is another major factor when it comes to moving a business. Some leases (or mortgages) are more business-friendly than others, and utility, energy, security and technology costs can have a major impact on the bottom-line compared to historical expenses; positively or, in some cases, negatively. For some businesses – such as those with a large IT hardware footprint -- it’s vital to ensure well ahead of time that a prospective new location has the infrastructure to support power and cooling systems. Research by Gallup has revealed that employees spend an average of 47 hours a week at work; and many of them routinely surpass the 50-hour mark. That’s more waking time than some of them spend in their homes! As such, it’s important to ensure that any prospective new location – regardless of what other advantages and benefits it may offer – has enough space for your current roster of employees, and will accommodate planned future growth and onboarding. At Precision, for more than 30 years we’ve helped numerous of businesses relocate across the city, state and country. And by “help” we don’t just mean that we expertly handle every aspect of their move, from planning and communications, through to broom-cleaning their new space and making it 100% employee-ready. We also work closely with our customers to assist them in choosing the ideal new location. We know what factors are most important, and we also know the ones that often get overlooked -- but ultimately make or break whether the relocation is successful. To learn more, contact our team today and take advantage of your free consultation. Our experience is your advantage!